Discount available! Recommend Small Breakout for SIM928 GSM&GPS Module to your friends and get your Discount. Compact board with the GSM/GPS SIM928 module, a 20-pin male connector (two rows of 10 each) at 2 mm pitch and a SIM card holder. 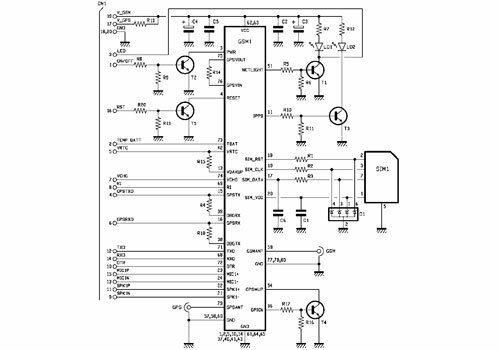 On the connector are available the power supply, the serial communication lines to and from the GSM module and audio signals. The SIM928 module has two serial, one for the cellular communication and one for the GPS: the first is available on the lines TXD, RXD, DTR, which go out through the contacts 12, 14, 10 of the connector; for the GPS instead, the serial data are on the pins GPSTXD (contact 4) and GPSRXD (contact 5). The serial interface of the phone is also destined for the global control of the SIM928, then it can also configure the GPS receiver to obtain data on the location, number of satellites and hooked them to acquire the microcontroller baseboard. Board comes fully assembled. GPS active antenna with high gain equipped with a magnetic base, U.FL co..
GSM Antenna with magnetic base, 1 meters of RG178 cable and U.FL connector. 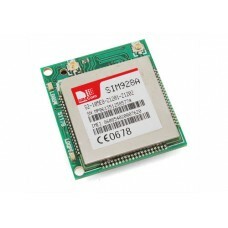 ..
Small Breakout for SIM928 GSM&GPS Module is available under GSM/GPRS Shield Promo. Click here to know more. Small Breakout for SIM928 GSM&GPS Module is available under GSM/GPRS Hat For RPi Promo. Click here to know more. Small Breakout for SIM928 GSM&GPS Module is available under GSM/GPRS Modem Promo. Click here to know more.